At the heart of Little People are music, comedy and imagination. 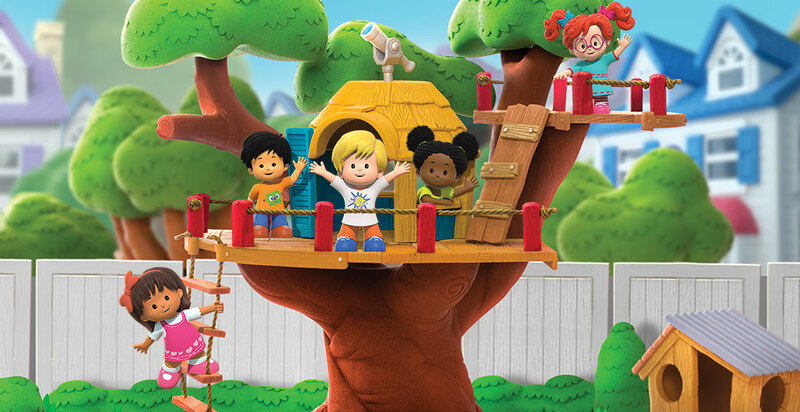 In each eleven-minute episode our fun-loving cast of pre-school characters travels to wherever their imaginations take them. Through collaborative, creative play they can turn an ordinary sandbox into a fantastic fairytale castle, a paper airplane can become a jetliner and a puppet show can launch them on a high seas adventure in a pirate ship. Every adventure is sparked by a real world event in their lives. Whether they journey to a whimsical farm or find themselves in magical jungle with talking animals, the Little People’s adventures are filled with laughter and songs and they always learn an age-appropriate life lesson.